Today is one of those Mondays where I am happy to see it and ready to start a new week. After lots of snow last week [which was awesome!] and then a long sick weekend in the Morgan house, we are ready for a new week. This week looks very promising with a forecast of highs in the fiftys and sixtys. We are going to get outside! While I love all of the snow we have had this year, I am now ready for sunshine and warmth. We have all three taken a turn with a stomach bug. I had an upper respiratory infection the week before that. I didn’t see my doctor about it, assuming it was just a cold, but my rheumatologist was more concerned about it and gave me an antibiotic before I got started on steroids for my autoimmune disorders. A day into that antibiotic, I was feeling so much better! It’s amazing how helpful medicine can be when we need it. So it’s a new week, the sun is shining this morning, and I am looking forward to all this week holds. Today is going to be full of cleaning bathrooms, doing laundry, and getting all cleaned up. I didn’t get too many great pictures of the snow this time around. 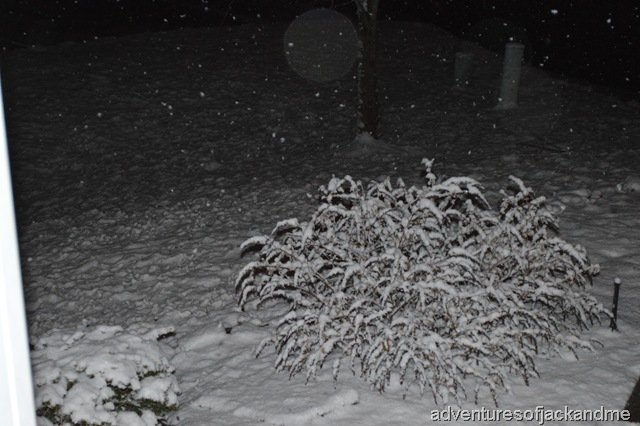 We got over six inches Wednesday night and Thursday, and then had some show snow up Saturday night as well. About 2 inches there. It’s been a snowy winter for Knoxville, and I love it! Hope you have a wonderful new week!